The Central Working Committee (CWC) of The Future Awards has announced the start of Season 7. The event will launch on Democracy Day, May 29 at an invite-only media and VIP event at The Coral Reef, Lagos. Referred to by the World Bank as “The Nobel Prize for Young Africans”, The Future Awards continues to remain the most influential and popular youth platform that identifies young people who have excelled at their work, celebrates their achievements, and showcases them as role models to inspire a generation of Africans to believe in themselves and the future of their countries. “There is a reason why, when you Google for “Nigeria’s biggest youth event, The Future Awards is the result that turns up,” says the head of the CWC, Ohimai Atafo. “Over the past seven years, we have taken seriously our mandate to inspire leadership and build enterprise and nothing excites us more than the experience of presenting the over 1000 Positive Role Models (especially outside of entertainment) to young Nigerians and Africans. At the event, the Committee will unveil the campaign for this season, the judges, the process, the categories, and the schedule of activities including the town hall meetings across the country’s six geo-political zones. There will also be an exclusive interactive session with organisers, winners and associates of the awards. 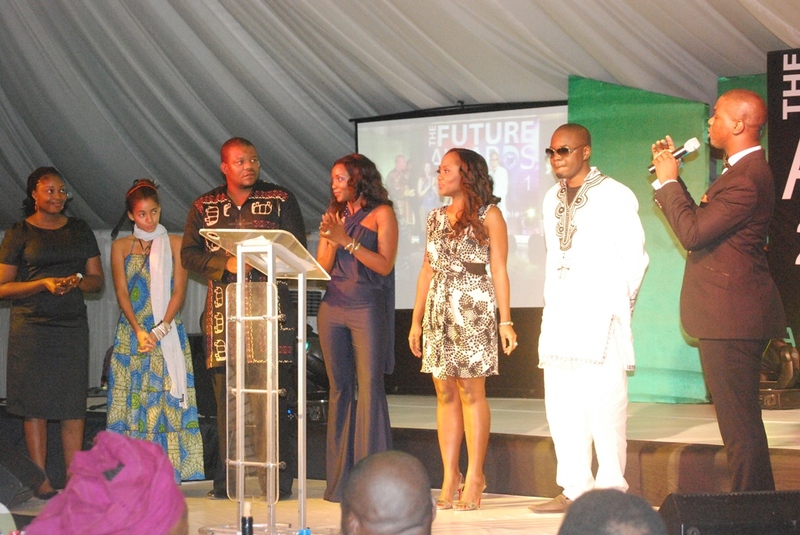 The Future Awards 2012 will hold on August 26, 2012. More information on this year’s event can be found on www.facebook.com/TheFutureAwards. Official media partner is Y! (www.ynaija.com). Referred to by the World bank as ‘Nobel Prize for Young Africans”, The Future Awards continues to be the most influential and popular youth platform on the continent. It identifies young people who have excelled at their work, celebrates their achievements, and showcases them as role models to inspire a generation of Africans to believe in themselves and the future of their countries. With outreaches to Ghana, Ethiopia and South Africa and having visited at least 24 states in Nigeria, The Future Awards has also been described by respected leaders as “Africa’s biggest youth event” and in seven years, has produced 126 winners and over 1,000 nominees. Our mission is to inspire leadership and build enterprise. To this end, The Future Awards has created authentic made-in-Nigeria superstars, outside of entertainment, fashion and the media. Winners include female farmer and face of youth entrepreneurship in Nigeria, Mosunmola Umoru; international author Chimamanda Ngozi Adichie, NASA scholar, Tosin Otitoju, founder of the Dustbin Estate Children’s Foundation Tolu Sangosanya, investor of the 1-second power change-over based in Ajegunle, Otejiri Oghoghorie, and the 2011 winner for Young Person of the Year, farm technology entrepreneur and Rolex Award winner, Nnaemeka Ikegwuonu. This is a critical mass of young people that are positioned as leaders and whose collective influence can change the leadership equation for an evolving nation. The Future Awards, and its sister brand, The Future Project have thus become known and respected across the continent for being in the forefront of inspiring a new generation of leaders/leadership for Nigeria, working with the Africa Union, the US Government, the British Council, the Ministry of Youth Development, the Nigerian Presidency amongst other organisations.